New Dimensions | Colorado Mesa Univ. 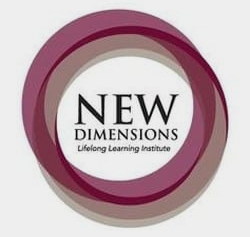 New Dimensions Lifelong Learning Institute is a membership education program for Grand Valley adults 50 and older offering a variety of classes focused on academic and personal enrichment. For a $75 per term membership fee, take as many New Dimensions classes as you want as long as there's room in the class. There are no tests, no papers, no grades and you earn no credit. Classes are taught by volunteer instructors with expertise and personal passion for their subject. Registration is available January 25 - February 1, 2019. Classes occur from February 11 - March 22, 2019.